Nike had a big tech-related announcement today in the form of a new basketball shoe as a part of their Adapt line. 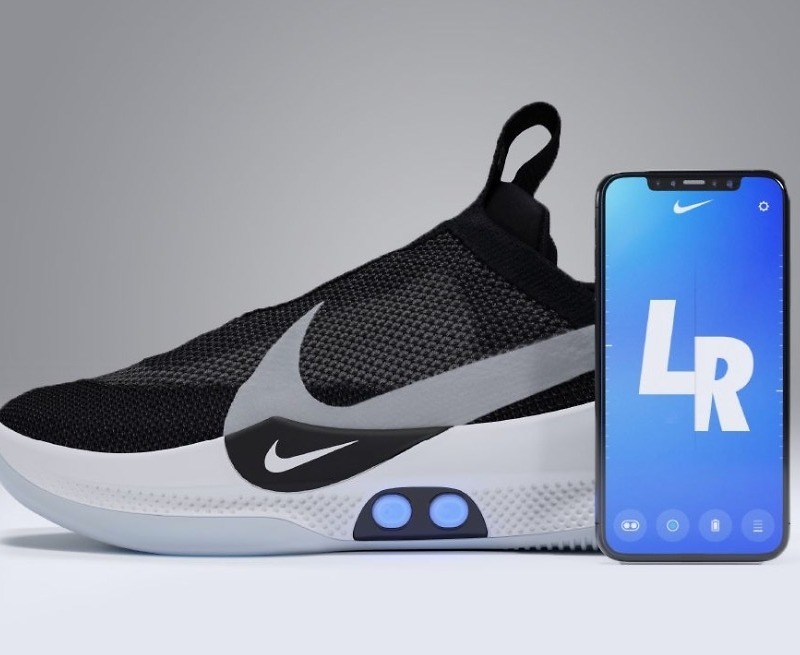 The new Nike Adapt BB is a self-lacing, wireless charging, phone-connected sneaker that they believe is an actual performance shoe that will be game-worn. To back up a bit, this isn’t the first Nike Adapt shoe that tries to self lace. The first was the Nike HyperAdapt 1.0 in 2016, a motorized lacing shoe that brought us a step closer to one of the most iconic shoes in history, the Back to the Future II Air Mag. Because of that shoe that debuted on film in 1989, sneakerheads have dreamed of a time where they’d be able to slide their fit into sneakers and let tech do the work from there. The Nike Adapt BB is the closest we’ve gotten, since that HyperAdapt 1.0 was more show and proof of concept than anything. The Adapt BB, on the other hand, will be worn in an NBA game by Boston Celtics player Jayson Tatum. Not only that, but Nike plans to bring this latest Adapt tech to other sports and lifestyle products soon. 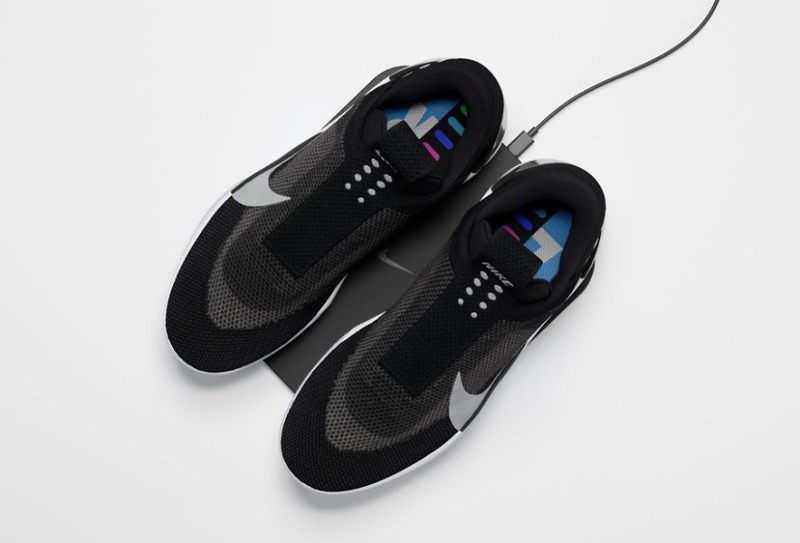 As far as how this is tech or DL related, well, the shoes will connect to your phone via a new Nike Adapt app. That app lets you tighten and loosen each shoe individually, change colors on the side shoe lights, and set presets depending on the situation. Like your shoe looser in warmups than the game? Those can be individual presets. Nike dreams of a customized fit for each person, plus they plan to issue firmware updates from phone to shoe over time. I mentioned these shoes wirelessly charge, and they do. To charge them, you simply leave them sitting on the included charging pad. The lights on the shoes will indicate battery status. And yes, if the battery dies while you are wearing them, you can still unlace. In the past, Nike has been extra close with Apple and shunned Android, but all marketing materials here just say “app” and “phone,” without any indication that this will be an iOS-only thing. We’ll find out soon enough. UPDATE: Yep, there will be an Android app with support for the Pixel 3, Pixel 2, Pixel, Galaxy S9, Galaxy S8, Galaxy S7, Huawei P10 Lite, and Galaxy A5. That’s a random as hell list of phones, but it’s what this support site says. The Nike Adapt BB will cost $350 and arrives February 17.